Walking dead is an American post-apocalyptic series developed by Frank Darabont where the world is overrun by the zombies known as walkers. The series is based on the Comic book series of the same name created by Robert Kirkman, Tony Moore, and Charlie Adlard. The comic series is based on the same post- apocalyptic scenario as of the TV series. The walking dead series revolves around three Principal characters of comics that made an appearance in the series as well, Rick Grimes who is the main protagonist, Phillip Blake who is also known as The Governor, and Daryl Dixon. The walking dead is a fantastic and one of the popular series among the viewers. 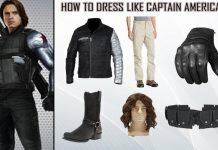 The fame of the walking dead series contributes to the huge costume craze among the fans for the costumes of their favorite characters. 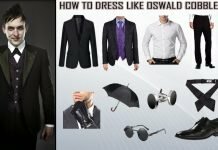 So, we have compiled a guide to dress like any of the three characters for you. Let’s begin. Rick Grimes is the main protagonist of the series. The character is played by Andrew Lyncon. Rick Grimes was a sheriff deputy in a small town, the countryside of Georgia. He is a married man with a son. He met with an unfortunate shooting incident that got him into coma. When he woke up he came to know that while he was still in coma, the zombie apocalypse had begun and the world was not same as he had seen before. Grimes gathers his remaining family, friends and other survivors to form a human group to stand against the zombies. 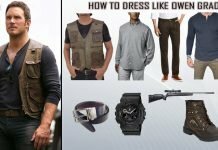 From all the characters of the series, Rick Grimes has by far the most amazing dressing sense which has inspired the audience from all around the world to pull his style for cosplays and parties. 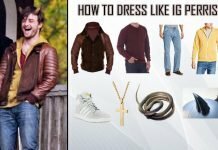 The most noteworthy feature of the Rick grimes walking dead costume is the Leather jacket. 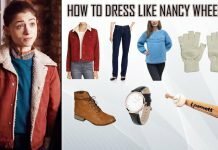 This jacket with its outstanding stylish and durable quality is an exact replica of the original jacket of Rick Grimes as seen on the big screen. The intensive care and supervision to craft this jacket with an utmost perfection with optimal quality and excellent design will give you a dashing look and remarkable appearance. 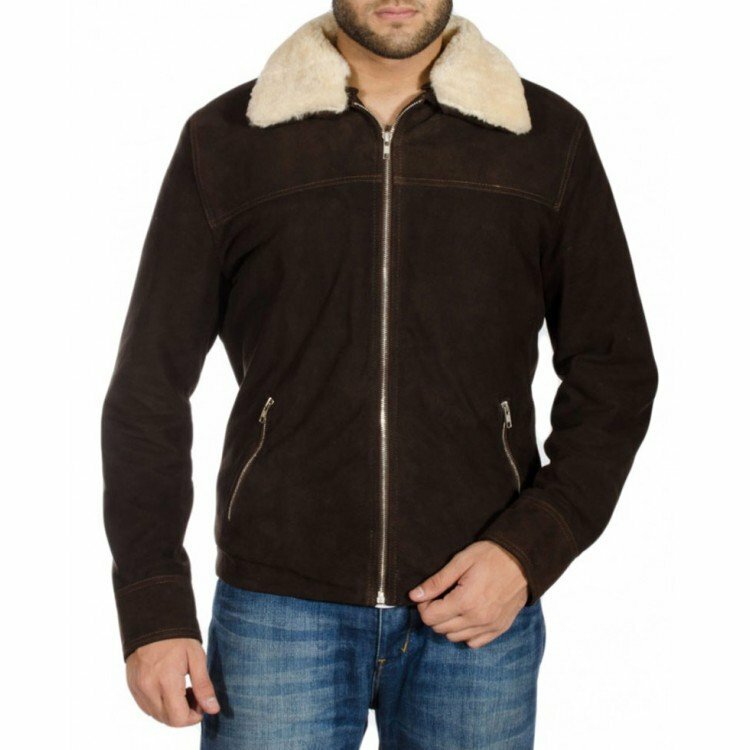 This jacket is made up of high quality suede with viscose lining stitched inside for your comfort and to keep you warm. Also, the collar has a fabulous style with detailed amount of stitching done to it. This jacket is everything a winter apparel should look like. 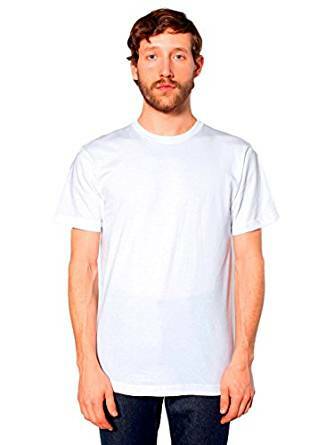 Rick Grimes is seen wearing this simple, yet trendy and nifty t-shirt under his fabulous jacket. This solid crew-neck t-shirt is made with 100% cotton and can easily be used as an everyday attire apart from the walking dead costume. These French cut pants are the best part of the Rick Grimes Walking dead costume. 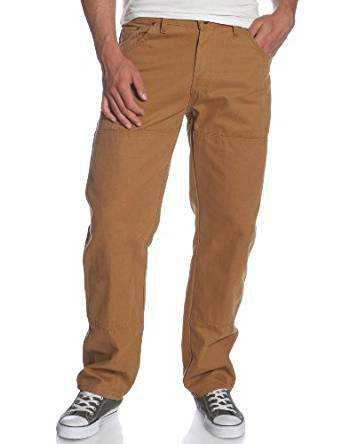 These pants are the must to-be-checked item in you walking dead costume list as these pants will not only go perfectly well with the sheriff’s jacket and t-shirt but will all add a great value to your closet for everyday or formal attire. 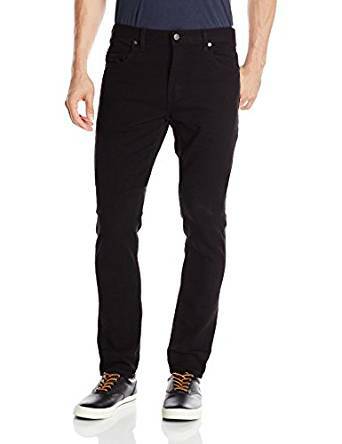 These pants are made of cotton and features tonal stitching for optimal quality and standard designing and also comes with five-pocket styling and perfect fitting. 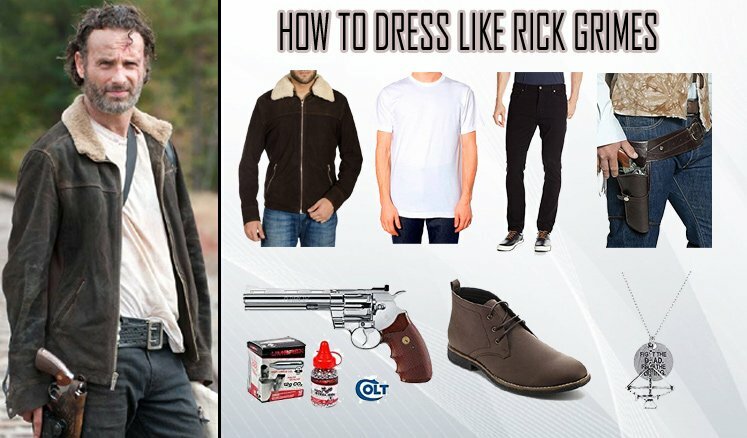 You need to pull on some boots to complete the Rick grimes walking dead costume perfectly. 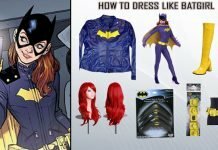 It’s not an easy task to find a right match for the pair of boots that are both comfortable and Classy enough to go with your cosplay, but well, we have got you covered. 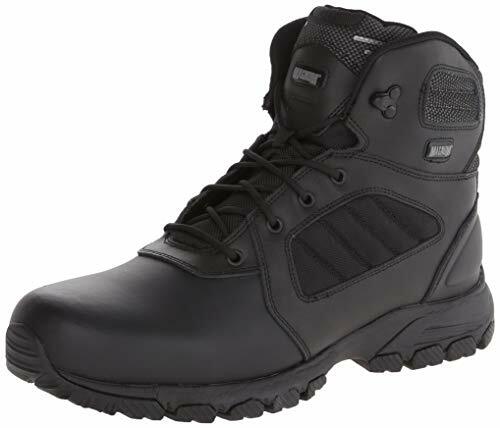 These boots are an exact match for the costume and are comfortable with durability guaranteed. If you are a leader of a human group made to fight zombies, than without a weapon you surely will be a No-show. Along with other accessories, the weaponry is also the part of the Rick Grimes Walking dead costume. 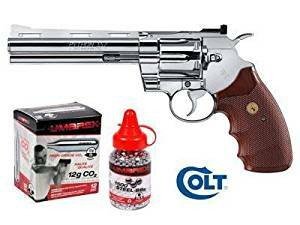 The weapon of choice of Rick Grimes is this revolver, on which he can count on anytime. You surely need a place to keep your most needed item during a war with zombies, right? 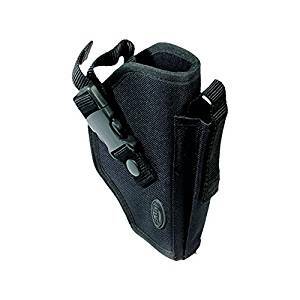 This holster made with high quality Polyurethane will keep the gun intact with you all the time, and at the arm’s length to pull it out whenever needed. And the belt, to fit around your waist perfectly. Also, don’t forget to add this little, but major detail in your costume. 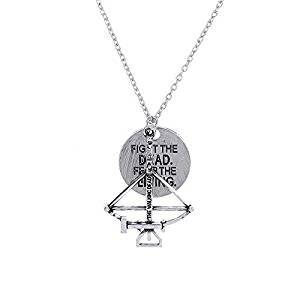 This necklace speaks for itself and the whole series. The Governor is the one of the most recognized and main antagonist/villain of the walking dead series. Though he goes best with his alias ‘The governor’, his real name is Philip Blake and the character is played by actor David Morrissey. Following is the list of all the items necessary for The Governor walking dead costume. The most notable feature of Governor is the eye patch. Somehow, eye patches has the ability to transform any character into a villainous character (Unless it’s Thor or Odin). So, this eye patch is an integral part of the legendary persona of the Governor. 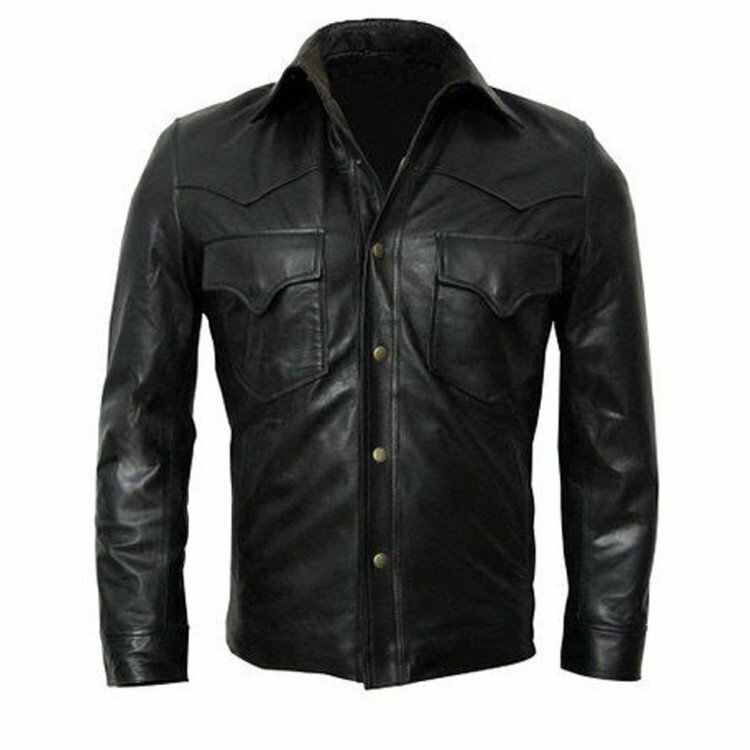 Fans are going bananas for the phenomenal leather jacket worn by the Governor in the walking dead series. This jacket is the exact replica of the one we have seen David Morrissey wearing in the series, and though it’s a replica but it fits every quality standard of the real one. This jacket is made of high quality leather with viscose lining stitched inside it for your comfort. 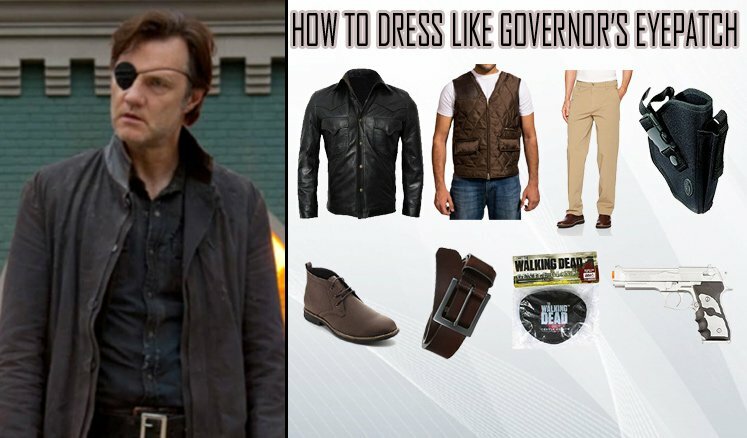 Apart from the governor cosplay, you can wear this jacket anytime, anywhere. 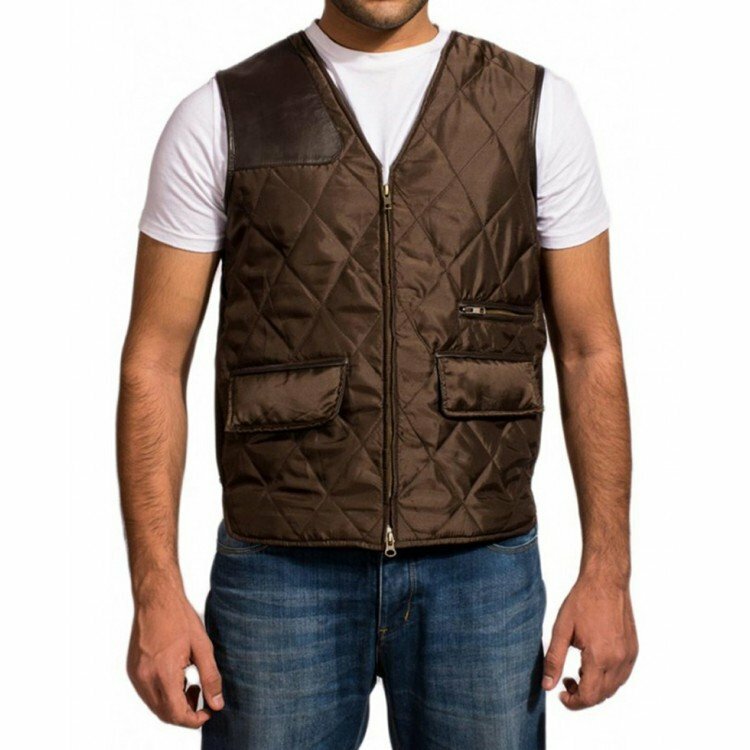 If you are a fan of the Governor’s style, you must have seen him wearing this classy vest. 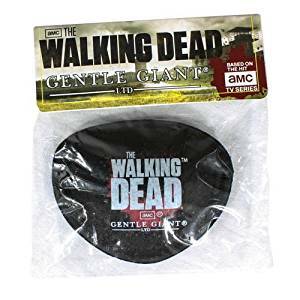 This piece of attire of Walking dead’s costume is made of high quality quilted satin as the exterior, and the interior is done fabulously with the viscose lining to provide you with comfort and coziness. Belts before the pants, always. You can’t think of going to places, fighting people and shedding blood without a belt, right? You need something to hold on to you. 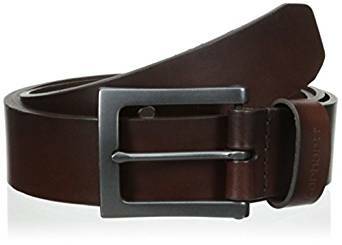 Apart from that, this classy and stiff looking belt goes perfectly well with the fierce personality of the Governor. Go get it! Again, the governor is famous for his gruesome nature and he makes sure to kill his enemies brutally and shed enough blood, all the villainous characteristics you know. 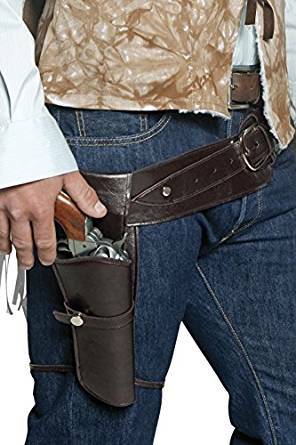 All of that is impossible without a Weapon, and to hold that weapon you need a Holster, definitely. Because, the governor’s choice of weapon is a gun. Weaponry is also included in the governors walking dead costume. 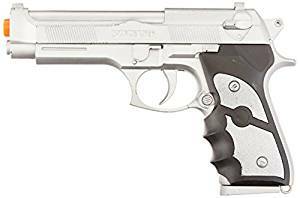 His choice of weapon is this amazing slick silver pistol. You can’t survive in a world run by zombies without one of these. To get the spot on look with your governor walking dead costume, you need to pay closer attention to details and authenticity of the items. You get one thing wrong and all the efforts are gone! 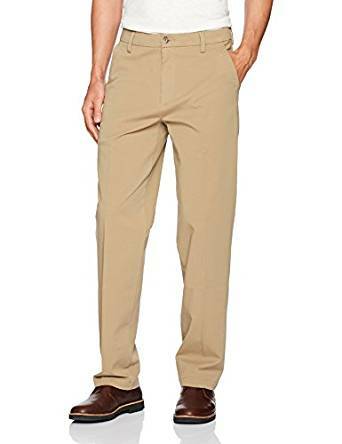 These khaki pants will give you a 100% authentic Governor look without much ado. So, what are you waiting for? 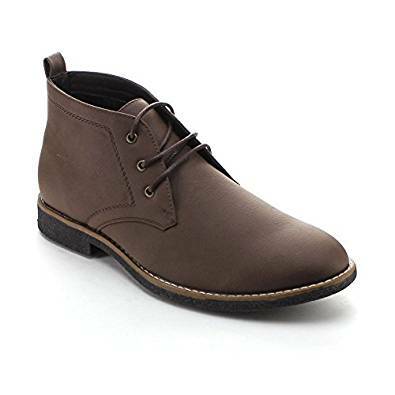 Complete your governor look with these Khaki boots that go perfectly well his stylish khaki pants. You must have seen the character of Daryl Dixon in the series walking dead and must have adored his acting skills. Unlike other two characters mentions above, the character of Daryl Dixon is not the part of the walking dead comic series. But, the greater talents that the actor shows the directors in his audition is what convinced them to add another character with the name of Daryl Dixon. 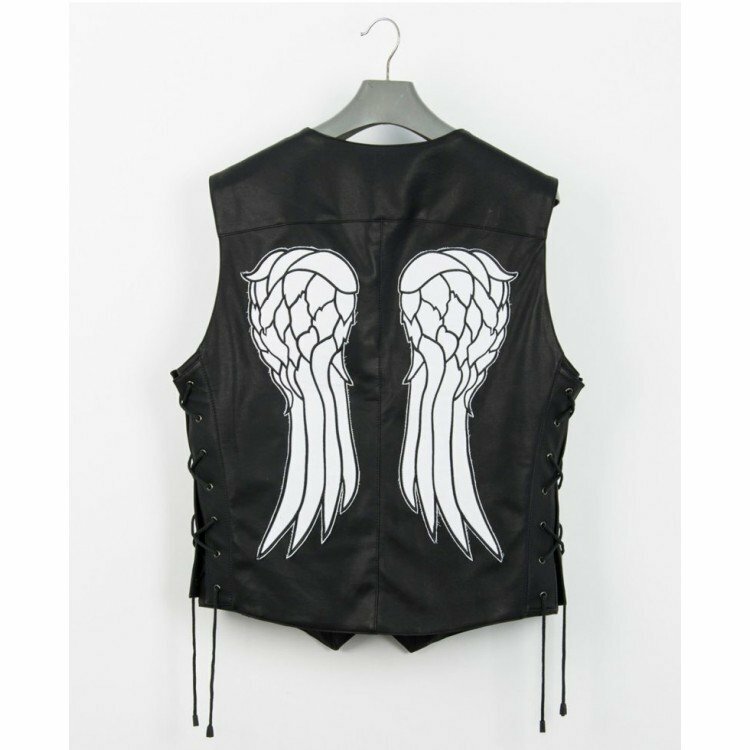 The most popular jacket among the cast of the walking dead is the jacket of Daryl Dixon. With the angels wings printed on its back, it provides us with a fresh detailing as never seen before. These wings can satisfy both your daemons and angels providing that which side you are on. 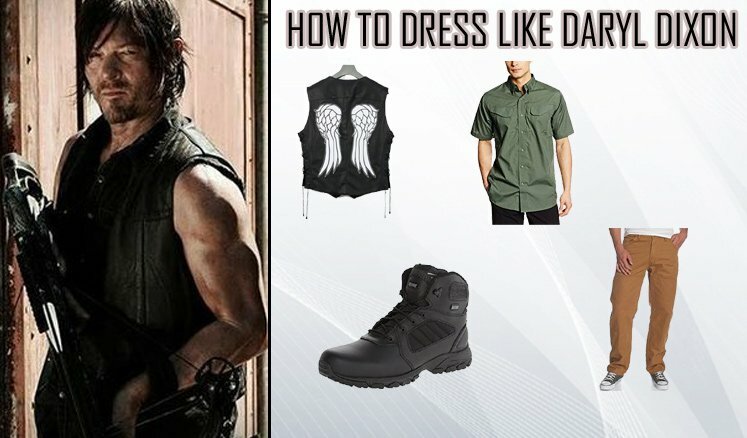 Daryl is mostly seen in a casual attire. He prefers wearing this casual t-shirt under his Glamorous jacket. 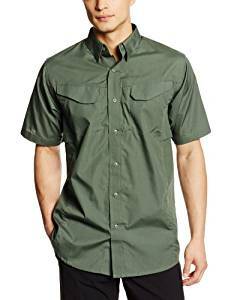 This shirt is classy, trendy and yet casual enough to be part of your everyday costume. 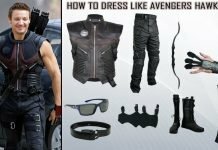 Since, the style of Daryl Dixon is more towards causality, these pants are what will go perfectly with his overall avatar. These jeans are made of high quality 10% cotton and can be a great add on in your closet. The final nail to the coffin of the character of Daryl Dixon walking dead costume are these boots. 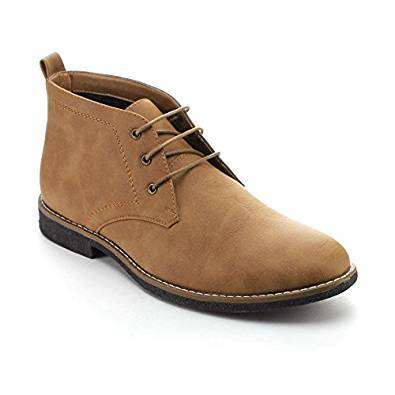 These boots are of high quality with duality and class guaranteed. We are finally done with the guide of walking dead costume. 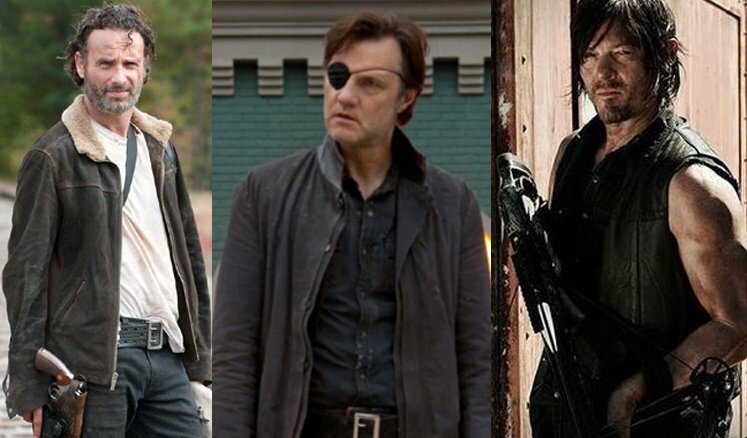 Feel free to choose any of the gruesome Governor, heroic Rick grimes or Stylish Daryl Dixon. What you choose won’t matter, what will matter is that each item is guaranteed to give you an authentic look of your choosen character.